The Royal London One-Day Cup begins on Saturday- our correspondents look back to 2014 and ahead to this year to assess each side's prospects. After the storm of the Natwest T20 Blast comes the relative calm of the Fifty-Over Cup, which starts on Saturday in its second year of its umpteenth reincarnation as the Royal London One-Day Cup. In the first of a two-parter, we look ahead to Group A, which contains both the holders and the favourites. As perennial underdogs, and with very little recent one-day pedigree, Derbyshire’s efforts in 2014 were pleasantly surprising. Resounding wins over Hampshire and Gloucestershire helped carry the Falcons into the quarter-finals, where Notts were too strong at Trent Bridge. This year, they should take heart from some strong Blast performances in the second half of the schedule, and have taken pace bowler Tom Milnes on loan from Warwickshire to bolster their ranks. Three games in four days next week means that a fast start – the opposite of their T20 campaign – is imperative. It’s fair to say Durham surpassed expectations when they beat Warwickshire to lift the trophy last year, but their status as champions of the competition will give them a huge confidence boost going in to this year’s 50 over campaign. However, the successful squad from last season has been weakened somewhat, particularly with Ben Stokes nailing down his place in the England test side. His knock of 164 in last year’s semi-final was a career-best, while Gareth Breese, who scored the winning runs at Lord’s, has since been released. Durham will do well to defend their title this time around. As each Gloucestershire season passes, the glory days of the early 2000s when the county had the best one-day side in the land recede into the memory. The county will look back on the competition in 2014 with some satisfaction. They qualified for the quarter-finals, winning four of their eight matches, including an excellent win at Headingley. A defeat to Kent at Canterbury ended their pursuit of the trophy after they failed to reach a moderate target. Injuries to Hamish Marshall and Ian Cockbain leave the batting very exposed in what is such a small squad. Geraint Jones is likely to play in the 50-over competition and the possibility of a loan signing has doubtless been discussed. That said, the quick bowling of Craig Miles and Liam Norwell will match most sides. Gloucestershire begin their competition on Sunday with a trip to Scarborough to play Yorkshire. It’s a tricky start to what may be a difficult campaign. After Leicestershire’s historic LV=CC Championship victory and a promising start to their T20 Blast campaign, the Foxes’ season has faltered once more. The Royal London One Day Cup is now their only opportunity of silverware. Last year in the RLODC, inconsistency again proved to be Leicestershire’s downfall as a mixed bag of results meant they missed out on qualification to the knockout stages by a single point. Now with the Australian coach and captain combination of Andrew McDonald and Mark Cosgrove at the helm, Leicestershire seem to have the leadership and experience that was previously lacking. Leicestershire begin their RLODC campaign with a home game against Surrey. All-rounder Ben Raine, who has performed well with bat and ball this season, could prove to be a key player for the Foxes in the competition. Northamptonshire have targeted white ball cricket for 2015 and after an improved showing in the t20 Blast, where they are on the verge of the quarter finals, will be looking to take that form into the longer format of the one-day game. On paper their squad looks a strong one, with plenty of power throughout the order, Richard Levi and Josh Cobb at the top, the likes of Adam Rossington and Ben Duckett in the middle while all-rounders David Willey and Steven Crook provide a well-balanced side, with the bowling experience of Rory Kleinveldt and Mohammed Azharullah. Their small squad could be an issue, however. 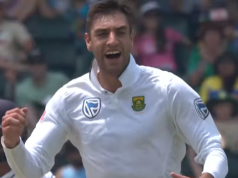 They may be outsiders after a disappointing 2014 campaign that saw only two victories, but only missed out on the 2013 semi-finals on net run-rate and have shown in the t20 they have the players with the potential to cause a few upsets once more. For Somerset, the story of the 2014 One-Day Cup was one of initial promise followed by painful collapse. After an opening win over eventual winners Durham, inspired by James Hildreth’s 146*, plenty would have installed Somerset as favourites for the competition. However, failure to take anything from their final three matches, when one win would have seen them through, meant they crashed out at the group stages. Matt Maynard has already said he will focus on youth players in this competition, with Alfonso Thomas and Marcus Trescothick taking a breather. It’s an admirable approach- it may not necessarily bring success, but it should make for refreshing viewing for the Taunton spectators. Lost between their T20 Blast campaign and hopes of promotion from Division Two in the County Championship, the one-day cup became a sideshow for Surrey last season. An inability to bowl teams out, or at least restrict opposition having set challenging totals, limited chances of qualifying for the quarter-finals. Poor weather affected some matches also, resulting in just a single win as they were left rooted to the bottom of Group B. With attention still predominantly on securing Division One cricket for 2016, as well as an over-reliance on a core group of bowlers due to a heavy injury list, Surrey may well struggle from the same problems this year and miss out on the knockout stage again. There’s one characteristic which has summed up Worcestershire this season: fight. It’s a vindication of Director of Cricket Steve Rhodes’ assumption that his young squad is one year older and wiser and that the strength in depth is far better than ever before. While four day cricket leaves the opportunity for temperamental errors of a youthful outfit, limited overs formats negates that. Their form exhibited in the Natwest T20 Blast has already guaranteed a place in the quarters. The One-Day Cup offers another occasion for them to carry that momentum forward. In Joe Leach, they have probably the most improved all-rounder in the county circuit and England Under-19s Ed Barnard and Joe Clarke have settled in well. In a revitalised Ross Whiteley they have a finishing weapon, something they have lacked in their arsenal before. A quarter-final birth, which, in the midst of an exhausting season, they missed out on last year, is very likely, and their temperament will hold the key in going further. In the 2014 season, Yorkshire threatened to ‘do the treble’. They tried to attack each of the three competitions with the vigour of a puppy with a chew toy – but they won only one of their three battles. When it came to the Royal London One Day Cup competition, the Yorkshire Vikings found themselves comfortably into the quarter-finals, finishing top of their table and winning six of their eight matches. 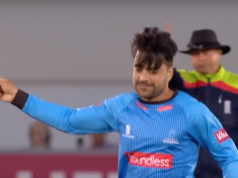 A distinctly average performance – arguably overshadowed by a Yorkshire member falling ill in the stands and prompting a delay – in their home quarter-final against Durham saw them progress no further. This year their shocking inconsistency in the shortest format of the game may well be an indication of how far they will go this season. However, the news that Aaron Finch has had to return Down Under with a fractured fifth metatarsal prompted an extension to fellow Australian Glenn Maxwell’s contract who could offer some much-needed batting power.